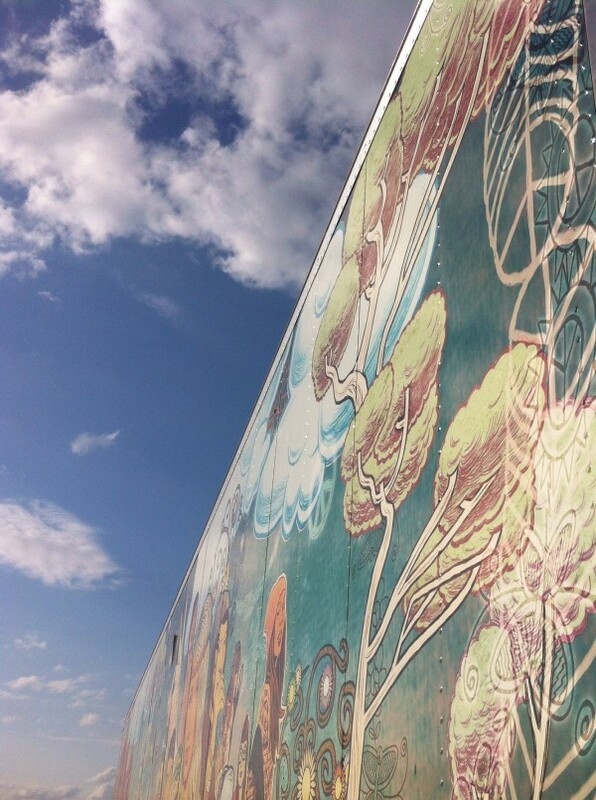 Peace Tea Truck. 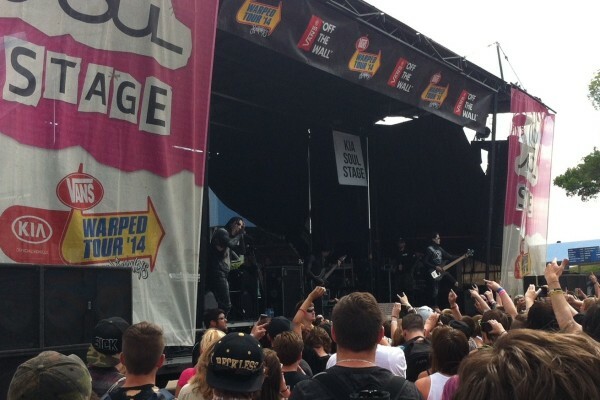 Warped Tour 2014 St Louis. 1. Get there early (really early, like 3 hours early), watch bands plug their set and sell CDs, get free bags and stickers. Take a small bottle of water for the wait. We were lucky with the weather, but the sun is still beating down as you stand still in a line, ready to pass out due to dehydration at any minute. My mini zip loc of raisins saved my lining up experience, not cool, but remember it is not my job to be cool, I’m the Mom! 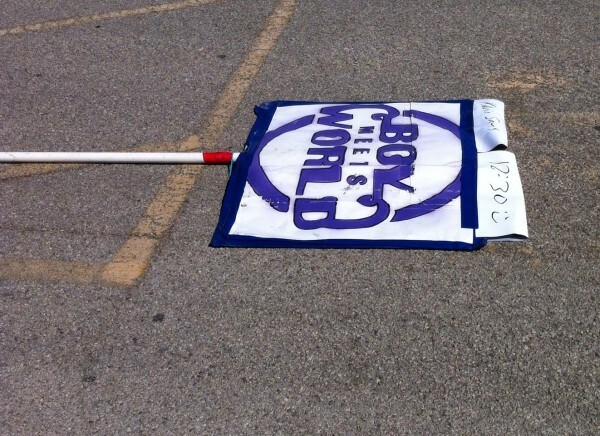 Discarded Boy Meets World sign. 12.30 Kevin Says stage. 2. Make a note of who you want to see and which signings you need to attend. Choose wisely as everything overlaps. You can buy a schedule for $2 but we just made a note on a card I had in my bag. 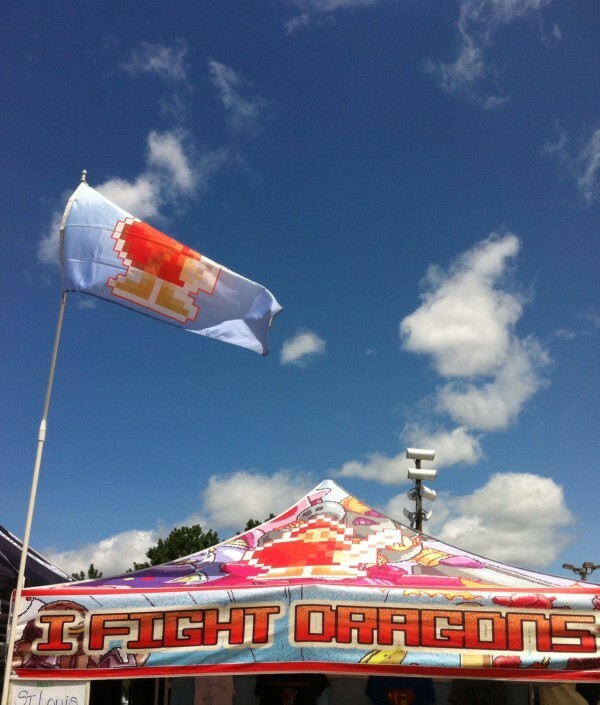 Leave enough time to line up for a week and a half for signings (get there early if you can). 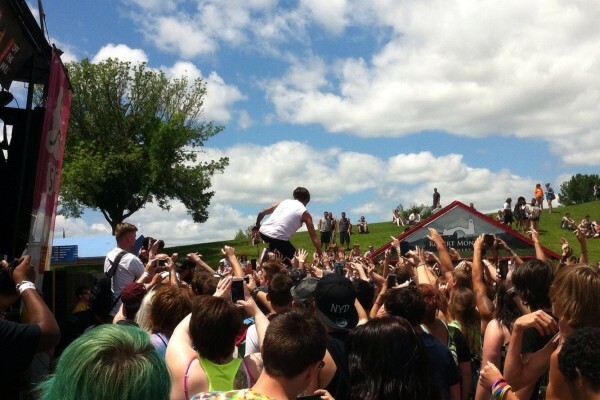 Telle from The Word Alive crowd walking! 3. Check out the local flora and fauna, boys in undies, everyone with ear plugs and gauges (it’s a thing) lots of coloured hair and body art. Does it make you feel old? Yes. Take you right back to teenagedom? Little bit, but remember when I was a teen, I had to use black eye shadow as lipstick and nothing I could fathom would make my floppy hair stand on end (believe me, I tried) none of this new fangled hair product and make up to make it easy! 4. Favourite t shirt of the day ‘I eat glitter for breakfast’. Love it! I would have snapped a photo, but the wearer looked terrified by the whole experience, so I didn’t want to freak her out any more. 5. Be entertained by the ‘Tips’ boxes on the merchandise stands. Most seemed to be for engagement rings and one band was saving for a flight back to England! What a romantic lot these alternative/metal core/punk bands are. Motionless in White rock the main stage. 6. Laugh heartily at the $14 Lime-er-ita $11 beer, $3 water and $8 soda as you fill up your water bottle at the free water station and chow down on the PayDay candy bars you brought with you. 7. Eat the sandwiches you made with pride and buy merchandise with the money saved. I know this is total Mom behaviour, but we would have been without band t shirts if we had to fork out (ha, nice pun) for expensive food. Remember kids, don’t be too cool for school, make your sammies and have a Warped picnic! 8. Wince at the lobster skin colour in the shape of a tank top on those who forgot sunscreen (DO NOT forget sunscreen). 9. Bottle the energy coming from the stage and the crowd as the bands perform and yell and bounce and rock! Don’t do this in front of the bank of speakers if you want to hear sometime in the next week. 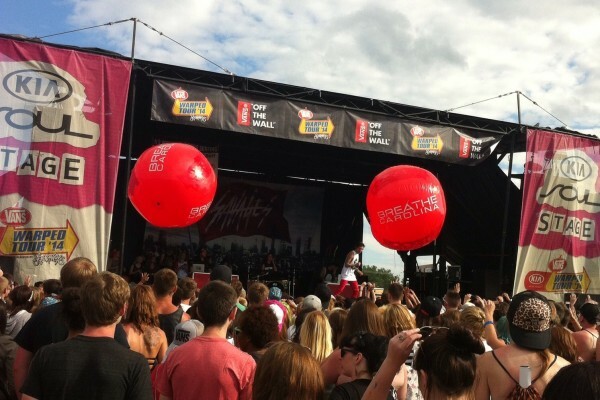 Playing ball with Breathe Carolina. 10. Enjoy the atmosphere and don’t worry that the performer wearing the Cure ‘Boys Don’t Cry’ shirt was most likely not even born when you were listening to them… (Chris Motionless, I am looking at you). How fantastic Clare. What a great thing to share with your son. Obviously he was cool with that. I think my son would be mortified. Love that you brought sammies! We had a great time, I must admit I was pleasantly surprised. Those sammies were a lifesaver I can tell you! Thanks! 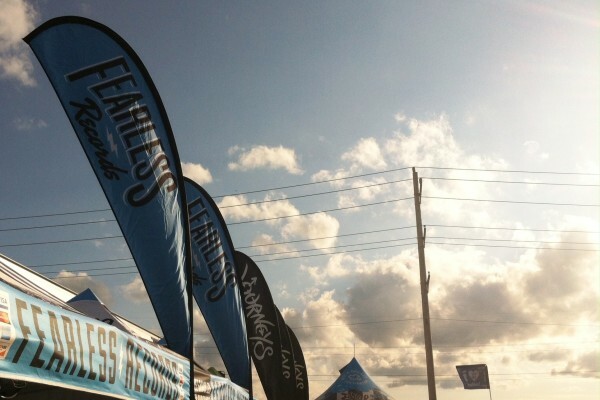 We had a great experience at Warped. Love it! Will keep in mind for when b1 and b2 get older. Such awesomeness. Thanks Pips, Warped is a friendly concert experience, good for the kid’s first concert I think. Previous PostThrough The Lens Thursday 27. Mess.